I'm so excited to take a trip to Ikea this weekend. It's been awhile and Josh and I need to pick up a few things for the nursery. I can't wait to decorate that sweet little space for our babe! I decided to ask my friends on Instagram for their top Ikea items that they can't live without and more specifically, things for baby. I received all kinds of great answers and tips and I had several people ask if I would share said answers so I thought I would in case you are planning a trip to Ikea soon. 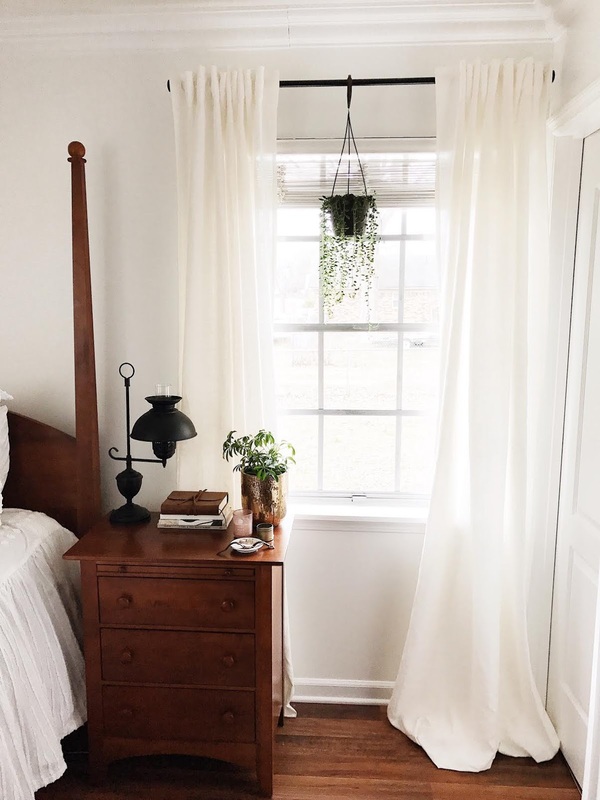 My favorite things I have purchased in the past are these 100% Aina linen curtains, their assorted baskets, throw pillows, their Dvala white bed sheets, curtain rods, and kitchen towels. So here are the answers to my question... (Tip: hover over certain keywords to go to link of item). "What Ikea item can you not live without?" "Their lace curtains and Billy book cases!" "I usually come home with at least one plant, candles, and my favorite snacks!" "My baby loves their abacus and cat rattles!" "They have a baby blanket that is like a little down comforter. It was my son's favorite!" "Their potato peeler! I can't say enough about such a simple household item." "I like their galvanized trash can that comes with a lid for dirty diapers." "I have their Raskog utility cart for burp cloths, bibs, clean diapers and wipes." "Those freakin $0.79 tea towels and cheap little soft light lamps. Ugh. Yes." "Their black watering can with the wood handle. It's the best!" "Their super cheap and cute brown paper cover notebooks." "I love the under bed/couch/crib storage boxes. They're so cheap and hold so much!" "Their baby hooded towels are amazing!" "Soooooo many things but their giant throw pillows and candles are a must!" "I love their little table and chairs." "Black out curtains are a must, especially as baby gets older & you start working on sleep!" "Their Antilop high chair is my favorite baby thing I've purchased at Ikea"
"Hovsta picture frames, Besta storage units, and Soderhamn sofa in pink IS LIFE"
"Their spice racks (as book shelves), wood baby gym, & faux sheepskin"
"ARV scallop dishes. We eat on them everyday and have only had one plate to shatter." "Fake flowers! I'm horrible with plants and the ones from Ikea are affordable and cute!" "The Lenda curtains (I have these also and LOVE them!) feather pillow inserts, & their dishes!" "I love their dish towels. Cute and perfect for several things." "White floating shelves. I've had them for years and are so easy to display favorite things." I hope you enjoyed hearing about Ikea's "must-have" items of 2018! The most popular answers I received (and more than just one recommendation) was the Sniglar crib, Billy book cases, Raskog utility cart, Antilop high chair, and their wooden hangers. If you see an item that you absolutely love but I missed, than please comment with your personal favorite! When planning my daughter's wedding reception, we wanted hurricane lamps with candles to create just the right ambiance. Ikea was the place to go!